The Bed & Breakfast Chateau Monney offers five large rooms and a suite, all nicely decorated and with their personal bathroom and flat screen TV set. The breakfast is naturally included in the price of the rooms. 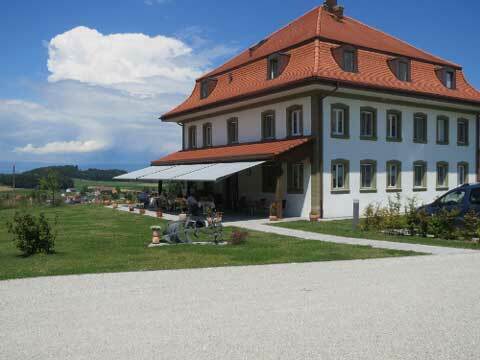 If you book in advance, Chateau Monney proposes also a nice restaurant service from Wednesday to Sunday lunch with a panoramic terrace allowing to admire the Jura Mountains. Free WiFi is available in this bnb.